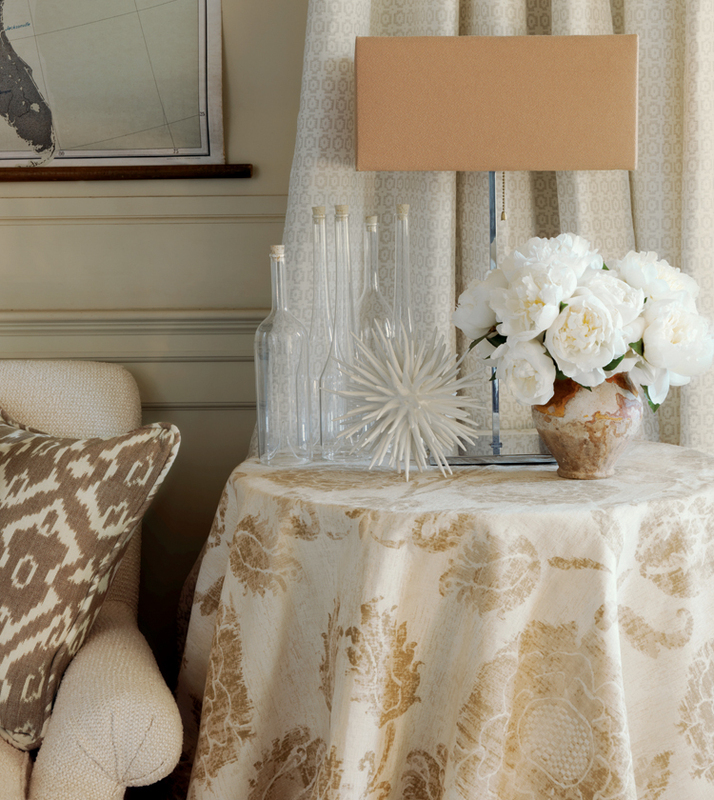 Rectangular tableskirts and round tableskirts are not just for dining. They can be made in throw or tailored styles for any room and table, indoors and out. Add inverted box pleats, welting, banding, ruffles or trimmings for a truly custom look. Or consider a custom table runner or table topper for seasonal accent. Tableskirts or table toppers can be custom made so they are reversible -- an easy seasonal update to your home. Gathered and pleated vanity skirts are also available. Tableskirts are made to your exact measurements and are fully lined for a beautiful fit. Directional fabrics may not be suitable for all styles; a portion of the pattern will be upside down. 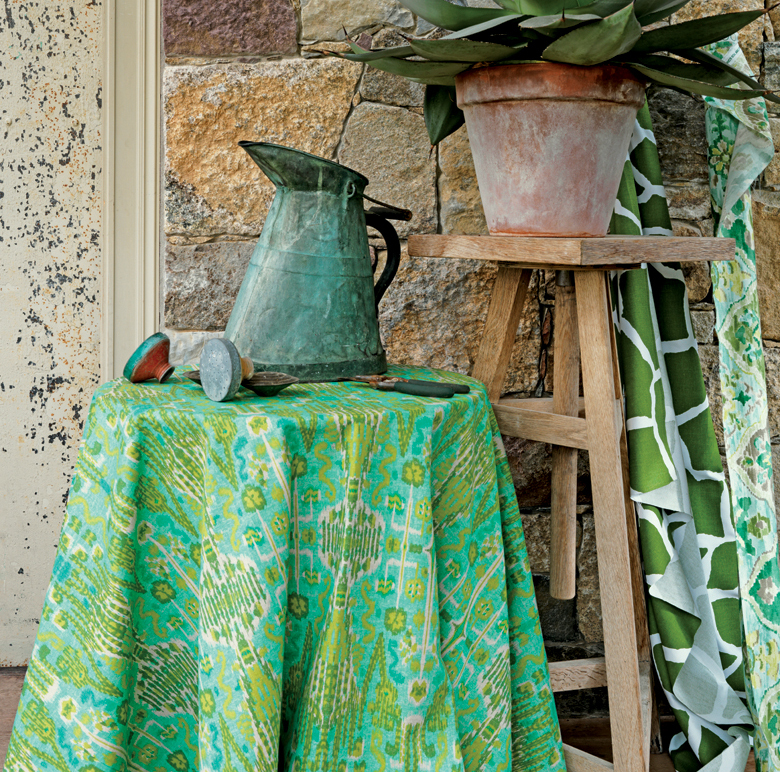 Table coverings are lined and silk fabrics should always be interlined. Particle board vanity tables, sofa tables, and round tables with glass tops are available through our stores.